d sixth-most disabling disease globally. Classic migraines: These migraines start with a warning sign or an aura. This can affect your vision and may include things like flashing lights, shadows, patterns of lines, or colors. You may even temporarily lose some of your vision. You may also have a burning or prickly sensation or muscle weakness on one side of your body. Your speech may be affected and you may feel restless, irritable, or even depressed. An aura can last for 15 – 30 minutes and may overlap the head pain. In some cases, the head pain may never occur. You may feel the pain on one or both sides of your head. Common migraines: These start more slowly than a classic migraine and are not accompanied by an aura. They last longer and interfere more with daily activities. Often the pain is only one sided. This is the kind of a migraine the majority of people experience. What Is It Like to Have Migraines? Why Do Some People Get Migraines and Others Do Not? Traditional care for migraines involves two types of medication. One is abortive and works to stop migraines before they become too severe. This is taken as soon as you feel a migraine coming on. 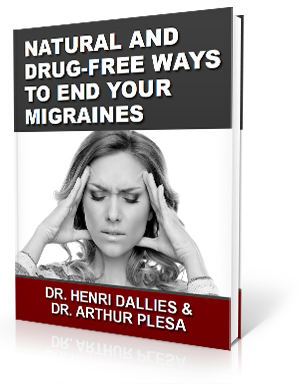 The other type is called preventative and is taken on a daily basis to cut back on the number of migraines. There is another option available that has been proven to be effective. It is that of upper cervical chiropractic care. In a study, 101 migraine patients were observed and found to have a misalignment in the bones of their upper cervical spine. Interestingly, the majority of these patients remembered having some type of trauma to their head or neck before the onset of their migraines. They were all given an adjustment to their neck, and 85 of them reported seeing their migraines go away entirely within 1 to 8 months. The remaining ones all showed major improvements in the severity and frequency of their migraines. Here at The Apple Valley Clinic of Chiropractic in Hendersonville, North Carolina, we use a similar method to help our migraine patients. It is a gentle technique that does not require us to pop or crack the spine. Rather, it encourages the bones to move back into place more naturally, leading to a longer-lasting adjustment. This is often all that is needed to see an improvement in or a resolution of migraines.